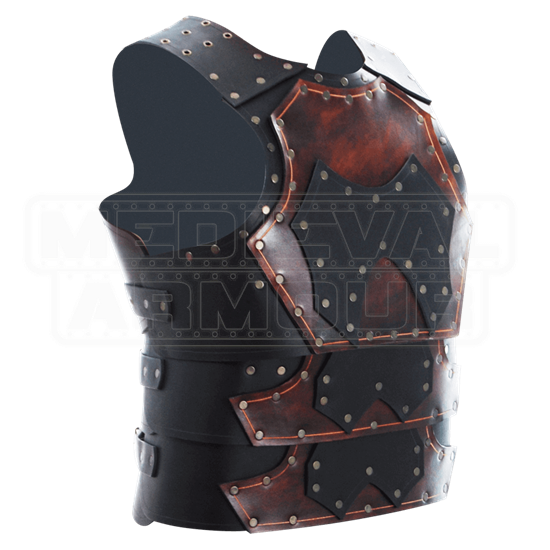 Flexible and fast yet highly protective, this Praetorian Leather Cuirass is just the armor for a warrior who needs to stay mobile and light. Plus, its old-world Roman style and rich color makes it a great way for a warrior to show off some style, too. The armour is crafted in both 9-10 oz. and 5-4 oz. leather plates in black and rich brown, secured in place with antiqued brass rivets. Successive bands of leather wrap up around the abdomen and chest, creating protection that is flexible and effective. Open grommets on the shoulders allow for customization, including the addition of pauldrons. The armor is offered in four sizes, and each size is worn via buckled straps in the back for added adjustability. 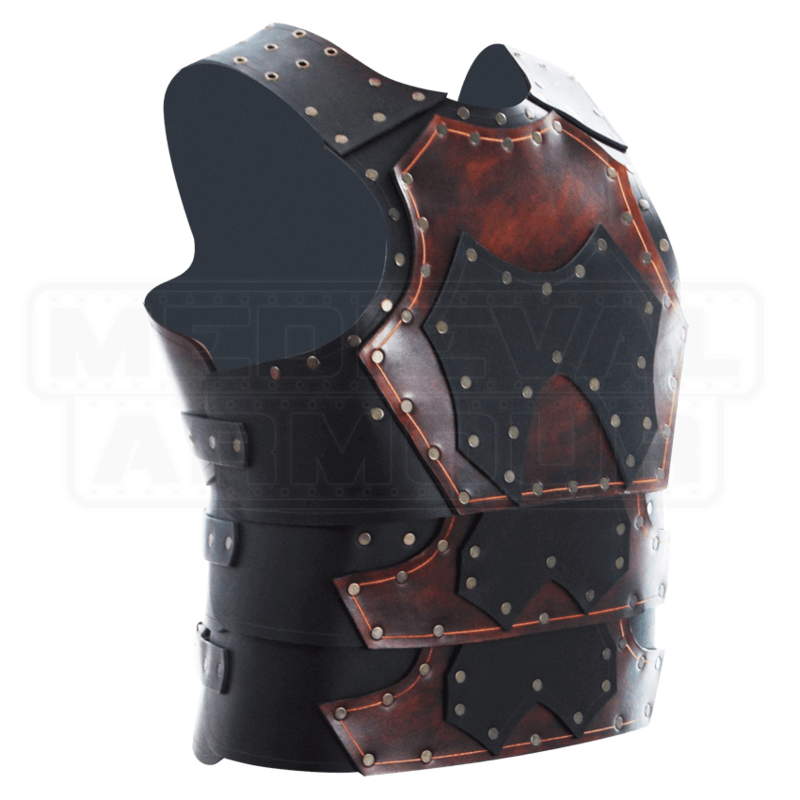 Handsome and highly effective, this Praetorian Leather Cuirass is the perfect armor to wear when a warrior wants to look their best while still featuring all the protection that they will need in the battle to come.